Welcome to Hale T Ka`a`awa on the beautiful countryside of Oahu! Situated between Ka`a`awa Beach Park and the majestic mountainside, this charming 2-bedroom home is a wonderful retreat that enhances any active lifestyle. Want some fun in the sun? Take your kayak across the street and paddle along the open ocean! Quickly drive to Chinaman’s Hat and Kualoa Ranch where many major Hollywood movies were filmed. A shot walk to Ka`a`awa Elementary School adds to the convenient location of this home. Local neighborhood stores can be found on your dirve along Kamehameha Highway and major department stores and restaurants can be enjoyed at Windward Mall in Kaneohe. Number of bedrooms does not match tax records. Call today and explore the beauty of this countryside getaway! 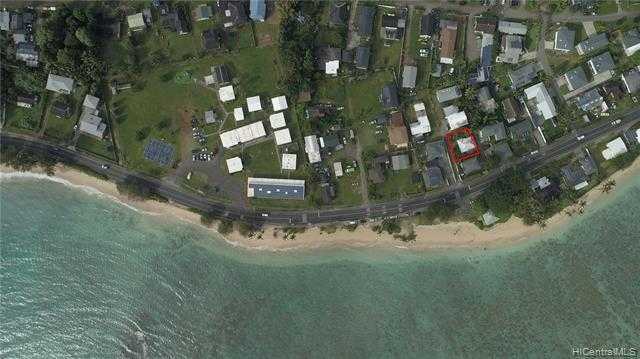 I would like to schedule a showing appointment for this property: MLS# 201900754 – $699,000 – 51-328a Kamehameha Highway, Kaaawa, HI 96730.